IN NOVEMBER 1966, EERIE THINGS BEGAN TO OCCUR IN THE SMALL TOWN OF POINT PLEASANT. STRANGE LIGHTS IN THE SKY...MYSTERIOUS "MEN IN BLACK"...AND A FLYING RED-EYED CREATURE CALLED MOTHMAN CHANGED THIS SMALL WEST VIRGINIA TOWN....FOREVER. Welcome to our new virtual Mothman Museum and merchandise site. 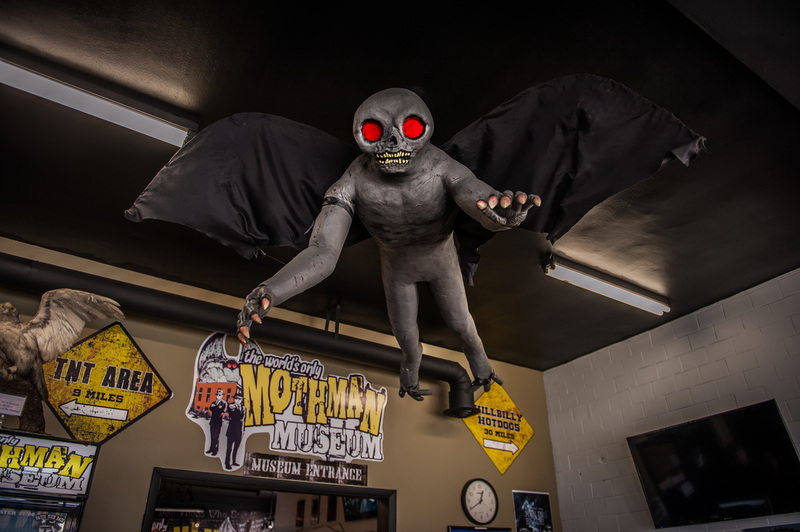 Now you can scope out "The World's Only Mothman Museum", and shop from the largest collection of mothman souvenirs and memorabilia offered anywhere in the world. We offer a variety of styles and merchandise for men, women, and kids and we have everything from books, to novelties, clothing and more. So an e-visit isn't enough for you? No worries. 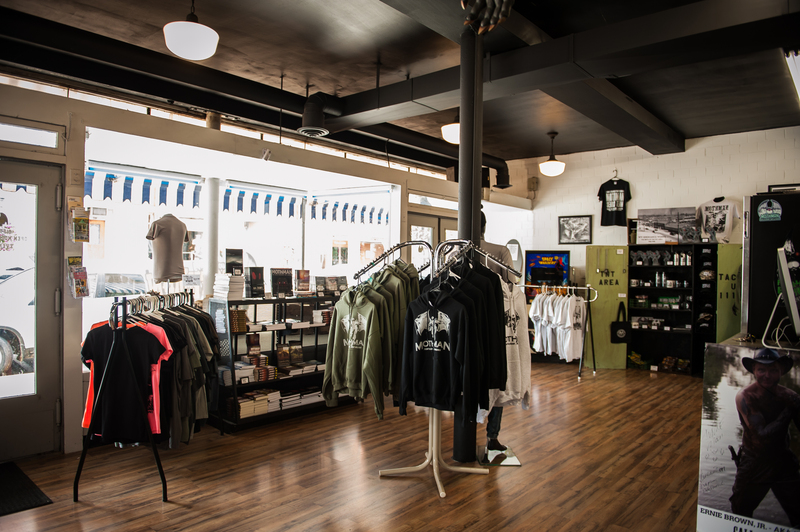 Stop by and visit our museum and retail shop which is located in the heart of Point Pleasant, WV. We are open 7 days a week (excluding major holidays) and people come for a visit from all over the world. Planning for the 2017 Mothman Festival has begun! Make sure you have your calendars marked for this unique annual event, which will be celebrating its 16th anniversary this year! Click on the Mothman Festival tab below for more info.